The Internet Specials page is a great place to find special discounts available for a limited time for our online shoppers. Here are more highlights of our current offerings. Dr. Sproul answers a variety of questions about the Bible, philosophy, the Christian life, and many other important theological issues called in by listeners and supporters of Ligonier Ministries. Given God’s incomparable magnificence, our hearts should be aflame with zeal for Him. R.C. 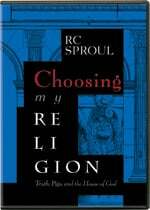 Sproul seeks to set fire to your soul through a captivating study of God’s attributes. This series geared towards young adults benefits the young person by exposing false philosophies and redirecting them to the truths of the Gospel. Dr. Lawson shows it is the preached Word of God that is the power of God unto salvation. This book is an important call for expository preaching in our day. C.J. Mahaney paints a striking picture of the daily battle quietly raging within every Christian and asks whether you will passively accommodate the enemy of your soul, pride, or actively cultivate your best friend, humility. Dr. Sproul provides a brief examination of Christian ethics. After introducing the topic of ethics, he then proceeds to deal with three important ethical situations that we face in everyday life. 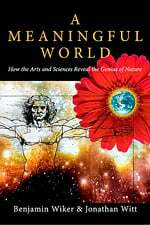 Two Christian scholars and philosophers turn to literature and science, demonstrating how these two disciplines argue against the common materialistic worldview embraced today. Tenor Stuart Neill and pianist Paul S. Jones rehearse the story of God’s love for His people. Together they bring many of the church’s great hymns about God’s love to life. Pastor John Piper deals with spiritual depression head-on, helping believers to recover their joy in Christ by aligning their work in the world with His purposes.